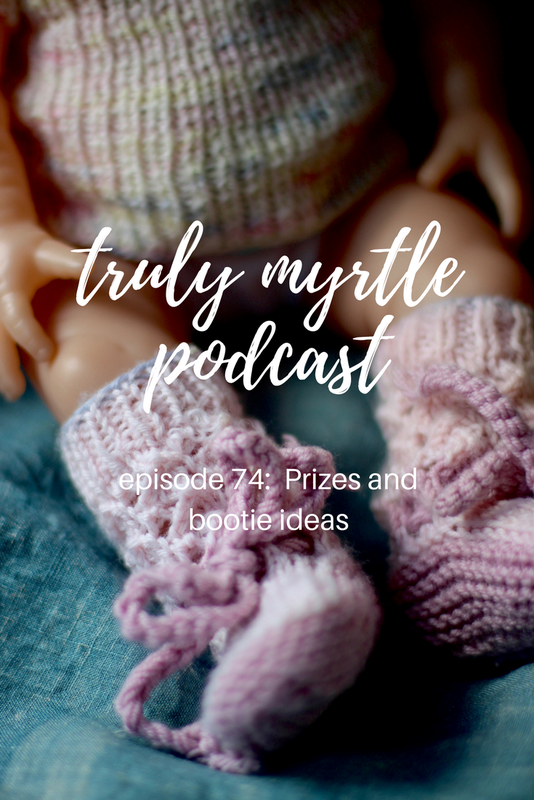 Episode 74: prizes & booties! Welcome back to the Truly Myrtle Podcast! In Episode 74 I draw a prize for the glorious new Brushwork yarn from Blacker and share some ideas for bootie patterns to keep babies feet toasty. The knitalong has begun but you've got heaps of time to join in, it runs until early November. See the Ravelry board for all the details and to take part. Did you win? Have a listen and, if it was you, congratulations! Let me know your details to I can get the yarn in the mail to you. Pretty as a Rosebud - The booties are cute but I just love the bonnet and cardigan too! Newborn Roll Brim Hat with Topknot - I prefer a bonnet or helmet to keep little heads warm but the booties look great and they're knitted in the round. I chat in the podcast about how mum made simple changes to her booties to change the size, pattern and weight. Also, as usual, my theme song is "Casting On" by Mr Roberelli.